Carolyn and I got a 4 day head-start on the group by arriving in Sapporo on the 22nd. 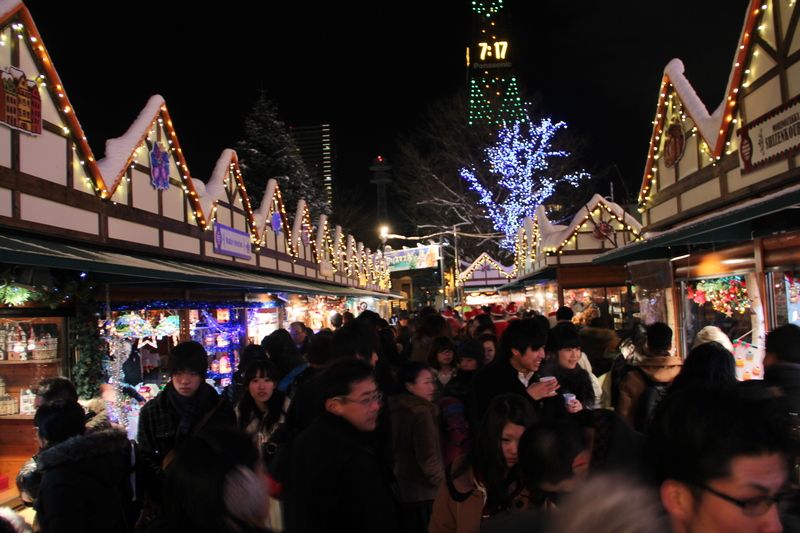 Typical Japan, there were plenty of Christmas activities going on. The park and tower were all dressed up for the occasion with special lights and music. The middle of the park had the most amazing “Christmas Town” set up with German food and Russian goods. Since Hokkaido serves as a roadway between Russia and the main island, it’s no surprise there is a large population of Russians living there. 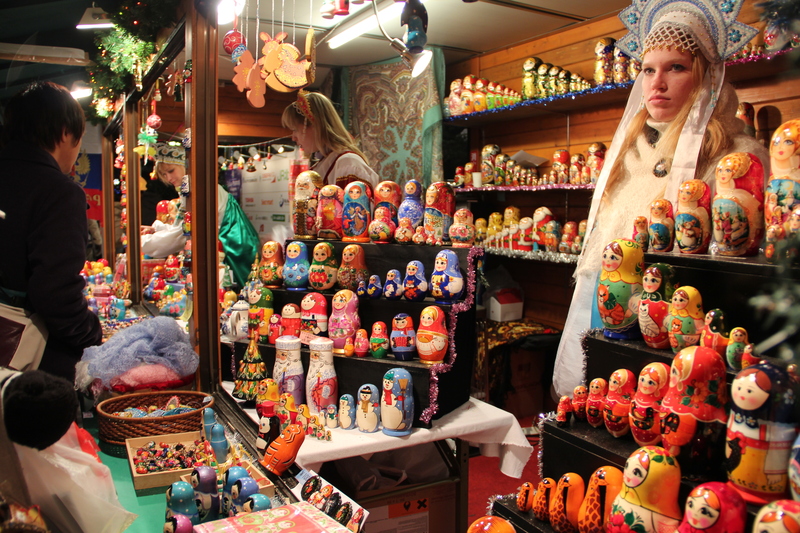 Naturally, the Russian girls were dressed in their beautiful Christmas wear, selling hand-painted nested dolls. Naturally, the German food cooked by the suspiciously German-looking blonde lady was amazing. Naturally there were carolers in the park. Naturally, I spent more money than I’d like to admit on cinnamon and cherry glazed almonds. Great photos! This looks and sounds like a spot that would make a great Christmas vacation for anyone anywhere in the world.